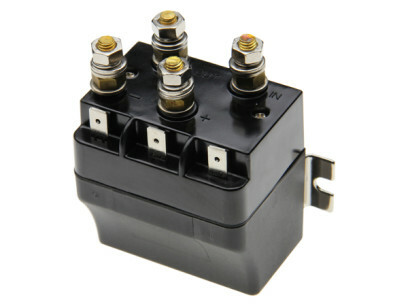 Reversing polarity contactor. Ideal for controlling permanent magnet motors. Both output terminals rest at ground for dynamic braking in de-energized state. Will handle 100 AMP loads and a 25% duty rating. Splash resistant body with O-ring seals. Silver-plated contacts.